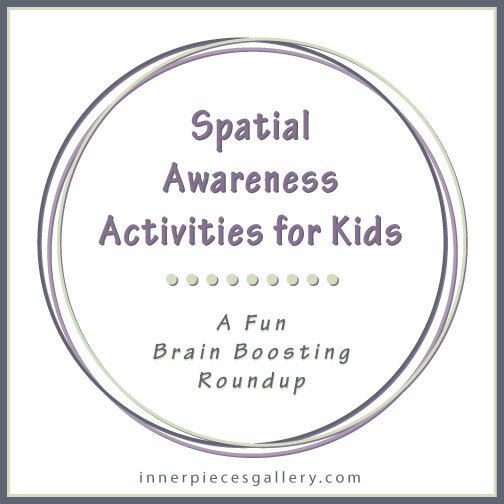 Let’s talk spatial awareness. Raise your hand if you’ve ever been teased that you could get lost in a paper bag. Really? I’m the only one? Give me a map and I do just fine. Without a map, well, all bets are off. My somewhat embarrassing poor sense of direction is just one example of why developing strong spatial awareness skills at an early age is important. Can I blame my remarkable talent for getting lost on my gender, my genes or perhaps my choices of childhood toys? The jury (and research) is still out on that one. I do remember that the only Legos in my life as a child lived at Grandma’s house. Grandma didn’t much care for the “noise” they made so back to the cupboard they went. Clearly I was not destined to become an engineer. • and of course, getting from A to B without getting lost. Spatial skills tend to develop naturally as children grow yet we can still do plenty to support and enhance the development of strong spatial awareness. Whether you’re raising a future engineer, scientist, mathematician, artist, or just want your child to become a good navigator, below is a short list of ideas for strengthening your child’s potential. And please, by all means, let them play Legos! Game for visual spatial reasoning made by a software engineer for 3 year old twins. By the way, no affiliate links here. I simply enjoy sharing cool stuff with you when I find it. Looking for even MORE brain boosting fun? Check out the complete Roundup category for phonological activities, memory activities and more.